There are strains with excellent resistance to mold, disease, pests, and drought, and weed that needs fewer nutrients than others. 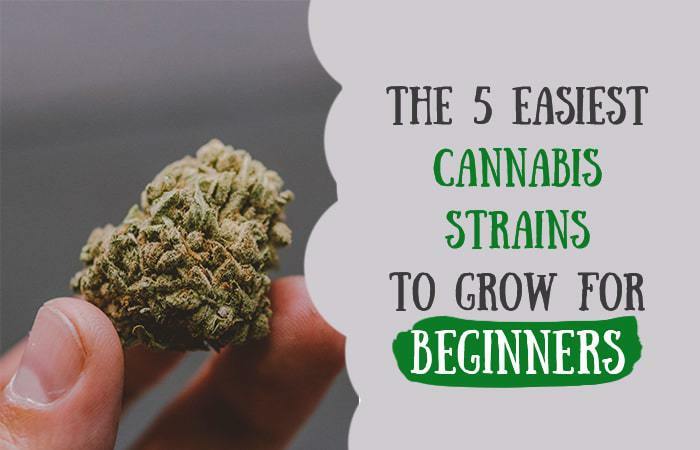 There are also marijuana strains that are ideal for novice growers because they are more forgiving of a few mistakes. In this guide, we show you five strains known to be easier to grow than most. If you are a beginner, we recommend either purchasing clones or seeds of one of these plants. Please note that when we say a strain is a sativa or indica, it is still a ‘hybrid’ of sorts because, as far as experts are aware, there are no marijuana plants that are 100% indica or sativa. At one time, Blue Dream was the most popular strain in the world. Even today, this sativa-dominant (60%) strain is hotly sought after because of its ability to provide users with a quick pick me up during the day. It is a cross of Super Silver Haze and a Blueberry Indica. With a THC content of up to 24%, Blue Dream is extremely potent, but its 2% CBD content means it offers several potential medical benefits.